I have yummy news! 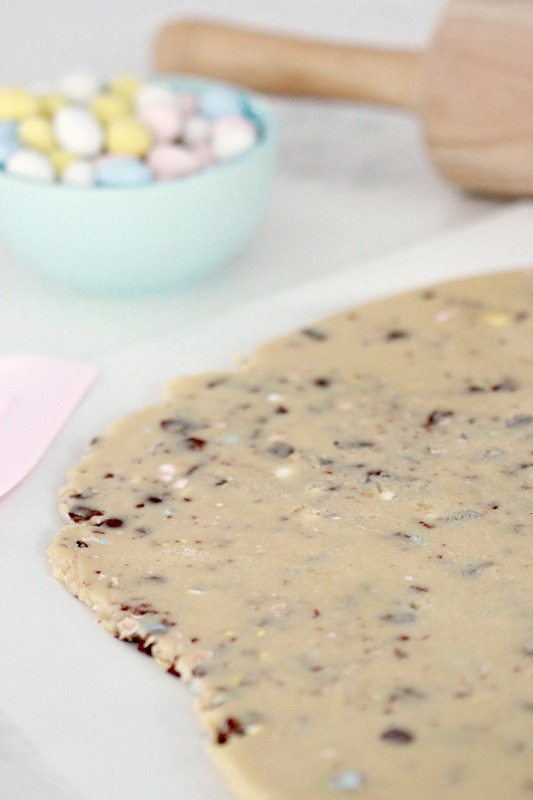 I’m so excited to share another recipe with you… A recipe I like to use as a cookie decorating base… Sweet and buttery, soft with delicious chocolate surprises in every bite. Not only were these fun to make, and fairly easy with some simple decorating tips, I loved the added chocolatey flavour and crunch. I used both the real milk chocolate and Cookies n’ Cream EGGIES to decorate the cookies, and you could use either or even both for the sugar cookie recipe itself. 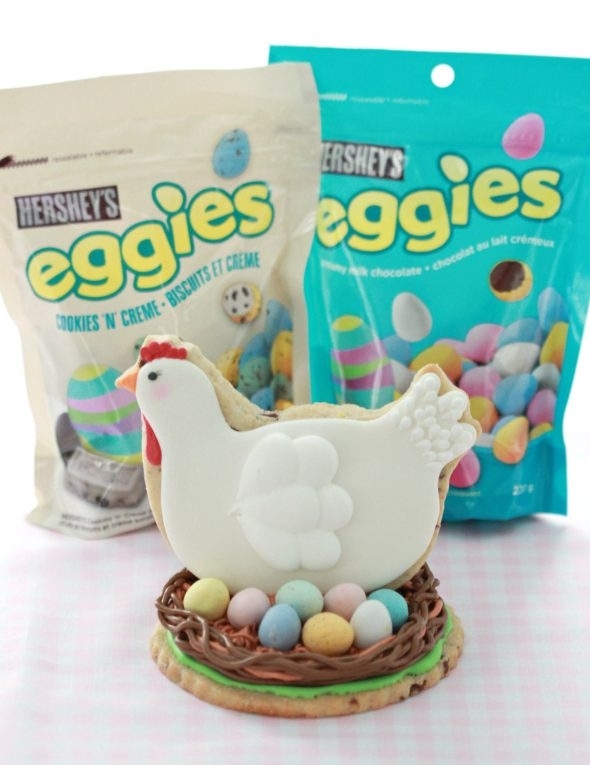 I’ve partnered with EGGIES for this project, and am happy to share that you have a chance to be recognized with an EGGIES Star from HERSHEY’S prize pack by making your own creation with EGGIES. 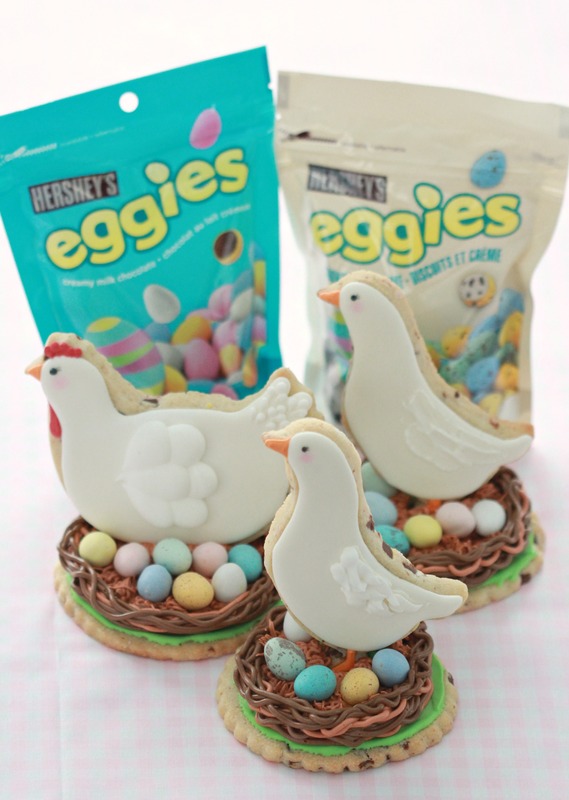 So make these sweet little guys or come up with your own design, share on social media with #eggiescreations and for your chance to receive the EGGIES Star prize pack. Yield: Yield: Makes about 30-35 cookies, but it will also depend on the size of the cookie cutter and how thick you make your cookies. Add eggs slowly and mix. Scrape down the bowl with your spatula at least once and mix again. Add vanilla extract. Stir briefly. Sift your dry ingredients together. (Flour, baking powder and salt). Add all of the flour mixture to the bowl. Place a large tea towel between the edge of the bowl and the electric mixer so that the flour won't escape. Mix on low speed for 30 seconds. 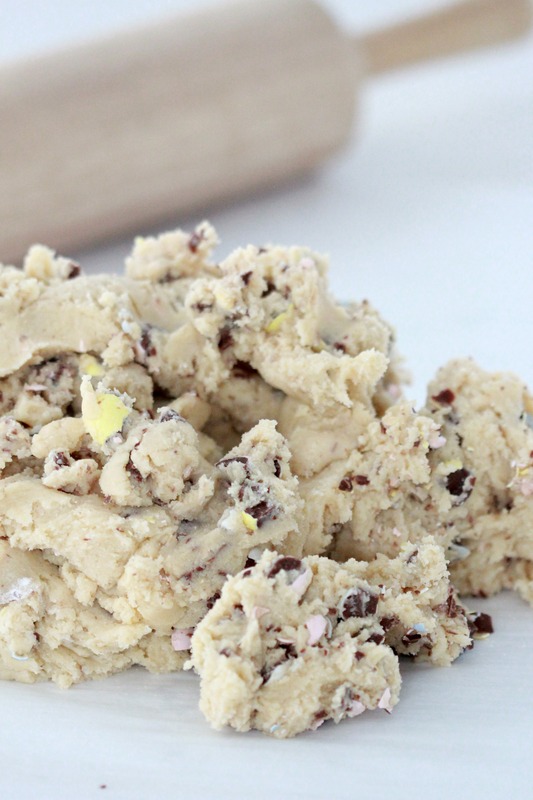 Remove the tea towels and observe the dough mixing; when it starts to come together add the Hershey’s Eggies and mix until the dough clumps around the paddle attachment. 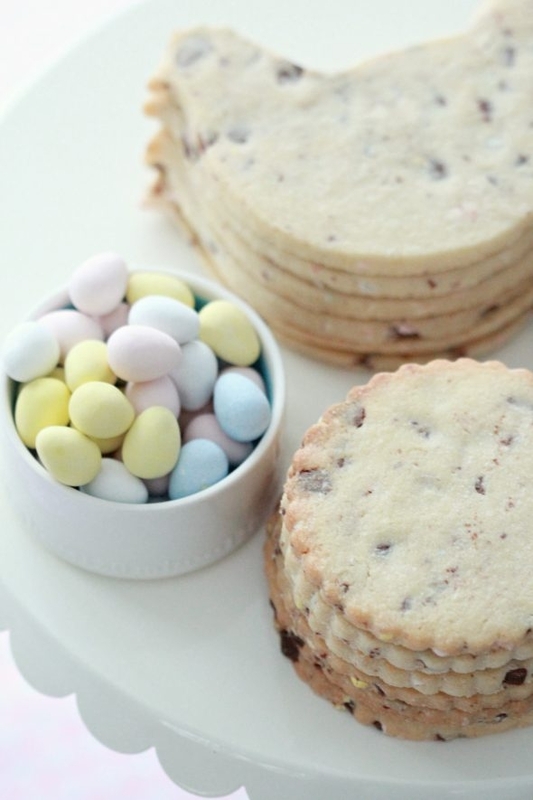 Let cookies cool to room temperature and decorate if you like! If you’re new to decorating cookies, here is a cookie decorating tutorial with everything you’ll need to know to begin! A few notes about the recipe: Butter - The butter needs to be soft, or room temperature. I leave mine out the night before I do my baking. If you forget, you can grate the butter on the largest hole of your box grater, so that the sugar and butter will mix together better. Chill your dough if it gets too soft work with. 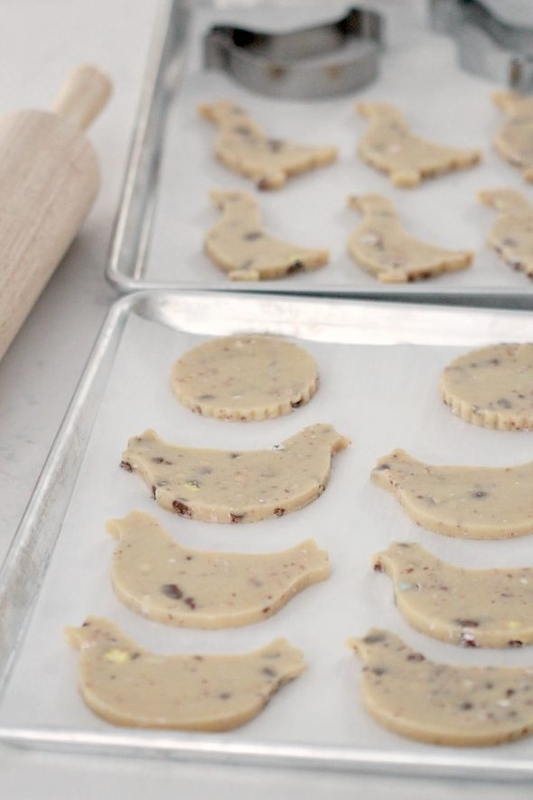 Read these tips here on stopping dough from spreading during the baking process. 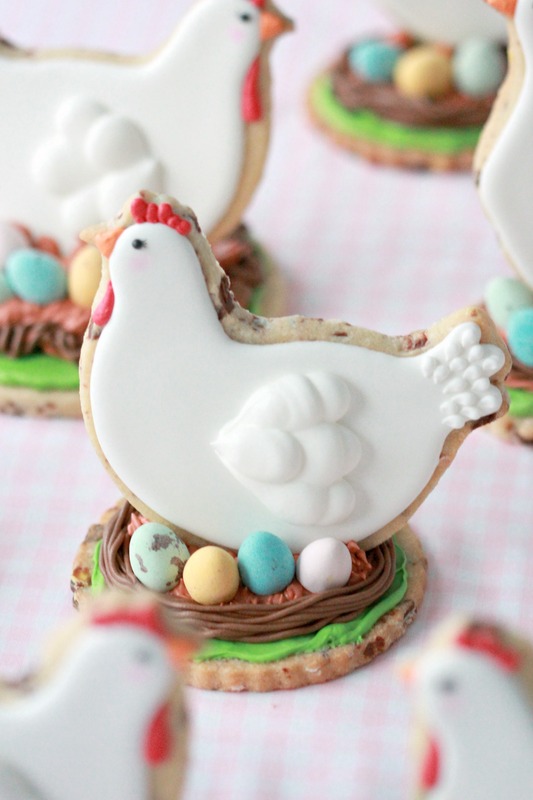 I am no longer able to find the exact chicken cookie cutter online, but you can find similar ones here. 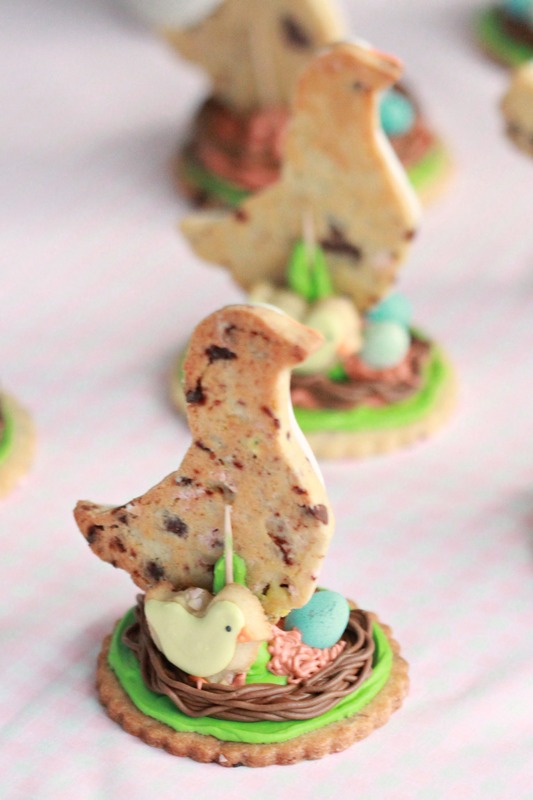 To assemble the cookies, spread green icing on the circle cookies using a butter knife, and pipe brown circular “nests” on top with piping tip #4. 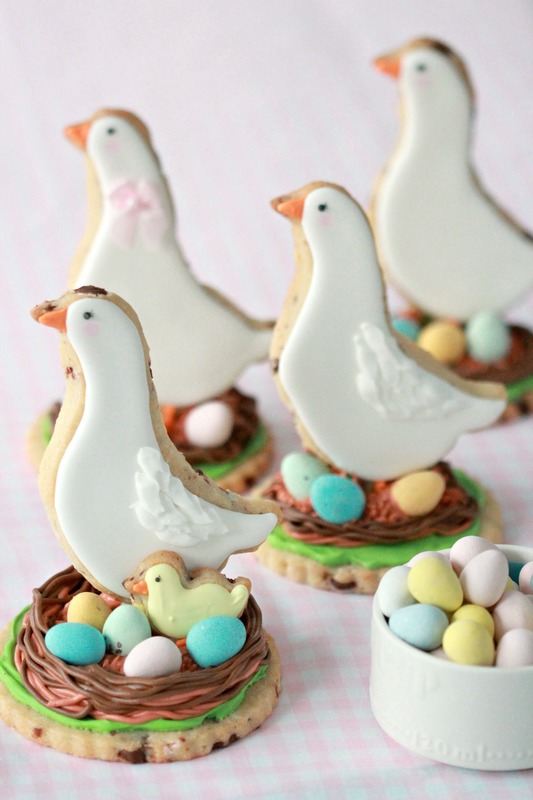 Use a toothpick inserted into the base cookie as well as thick royal icing to prop up the hens and ducks and then pipe brown “hay” around them using grass tip #233. 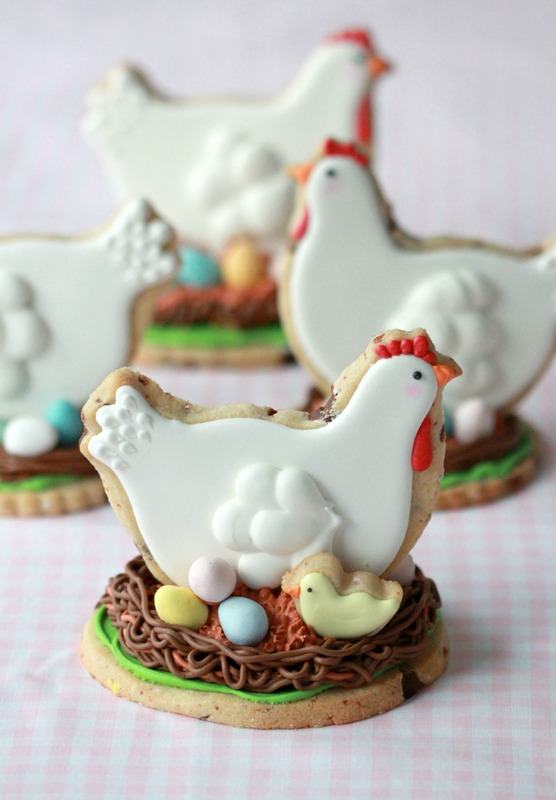 Place the EGGIES onto the icing next, while the icing is wet. Have fun decorating! 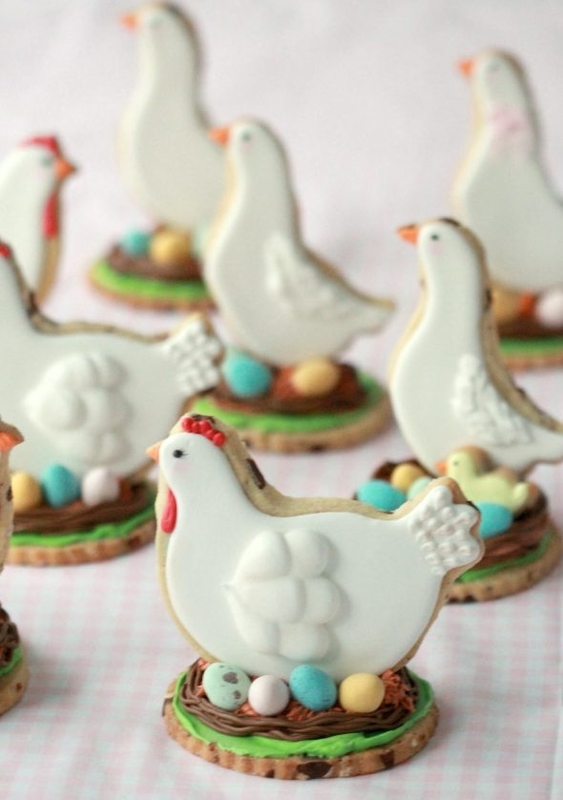 As always, your cookies are always so unique and perfect! You are the best! Glad you are posting again Marian. Thanks Marilyn, nice to “see” you commenting here too! It would have been nice to see a video on how to decorate them step-by-step or at least a few more photos… Thanks for sharing. Thanks for the feedback, Daniela! If you make them and have any questions, happy to help! Hi Roshini, thanks so much and I appreciate you still visiting me here! They looks so so so cute, Marian. I am always amazed at your talent. I do not get tired of it. I enjoy gazing at your creations for years now. Beautiful, very cute. Love how you explain step by step how to be successful. Gives me the spring feeling! Thank you for sharing! Good to see you back, your work inspired me to try cookie decorating. I’ve learned so much from your videos! Your work is beautiful! Thank you Donna, I’m glad you tried cookie decorating and I appreciate your comment! Just wanted to let you know I found some cookie cutters at a great price that look like yours on a website called Cookiecutter.com. I ordered the chicken and mini chicken and a mini duck. Hope this helps your other followers. 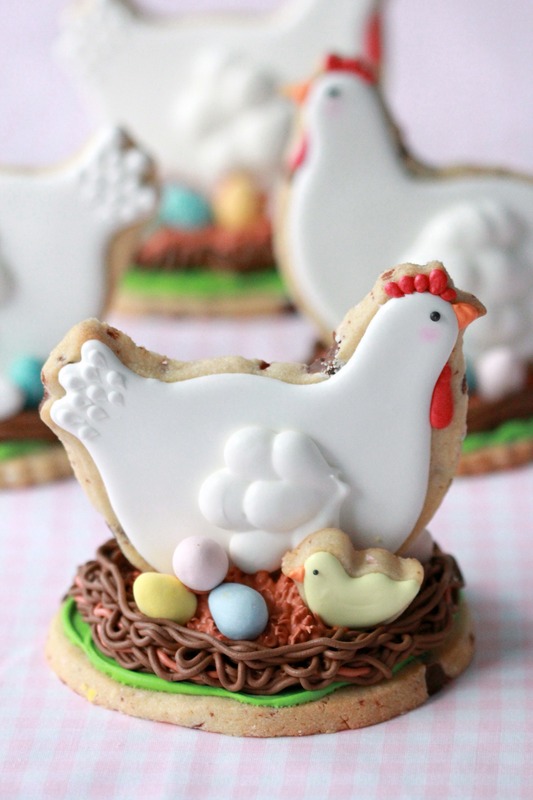 I can’t wait to get my cutters to make some of your cookies, they’re so cute!! How much baking powder does the recipe call for? It’s not included in the ingredients list. Thanks! 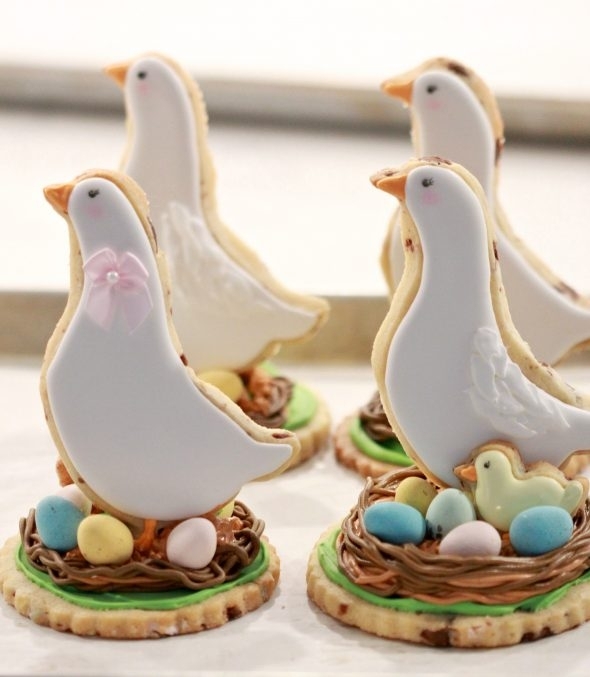 I don’t use a leavening agent in any of my decorated cookie bases, as it makes them spread too much. How much baking powder? Your recipe doesn’t say how much.